Video poker with wild cards is a good tool to test your luck. In this case, we are going to explore a free video poker which has twice the randomness with two jokers implemented into each draw as a chance. 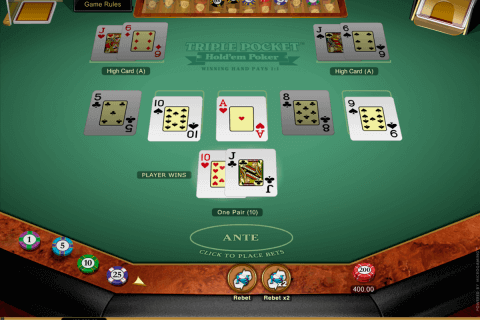 The game is Double Joker Power Poker by Microgaming. Let’s take a deeper look. This particular game has a wide explanation in its own name. 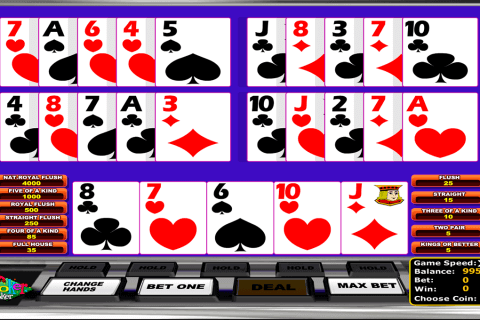 It is a video poker played with a standard deck plus two jokers added. 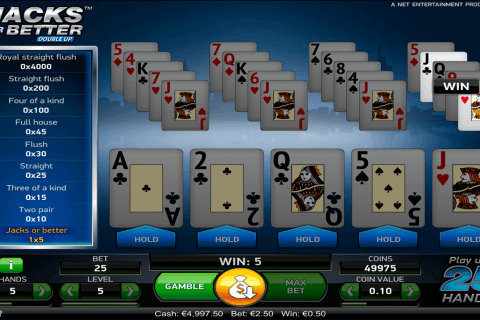 It also is a typical Power Poker type by Microgaming which offers to play four different hands with chosen cards and also features the doubling option, which will be explained in the next paragraph. To start the game you should simply adjust your bet and press Deal. You will be dealt five cards which can be held or discarded according to what possible hands may be drawn according to your choices. The game will automatically suggest the best possible cards to hold. Therefore, you should press draw. All the cards you held will appear in four hands drawn from separate decks. You can even get a joker at the start. Different combos stack and are paid together. Joker can’t form a natural Royal Flush. Up to two jokers can be drawn in each hand. Microgaming embodies one conventional feature to nearly each poker game they establish. It would’ve been one of the best gambling tools if they hadn’t gone too far adding it to each game. The doubling option offers you to double up your winnings except for collecting at once. You are dealt 4 random down-faced cards and the dealer gets one up-faced. Your aim is to pick a card which has a higher value to beat the dealer. Doubling is possible until the casino limit. Double Joker Power Poker impresses positively as a free no download game but seems to be too risky to play for real. The RNG shows that there is no miracle. Players will pay the price for the double jokers. Nevertheless, a worthy casino game.